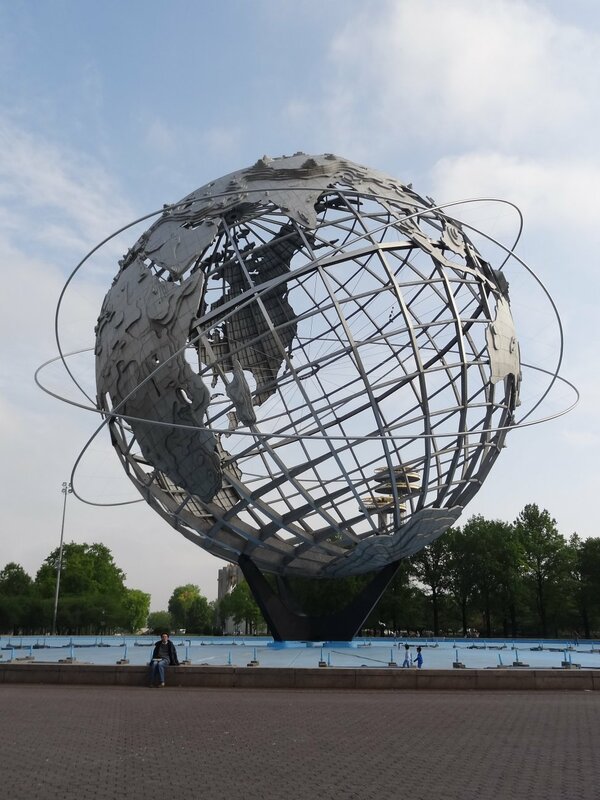 Located it the Flushing Meadows-Corona Park in Queens, the Unisphere is a giant stainless-steel globe. It was both the physical center and visual logo of the 1964–65 World’s Fair. It embodied the fair’s theme, “Peace through understanding in a shrinking globe and in an expanding universe.” The Unisphere was designed by Gilmore D. Clarke, the noted landscape architect who also designed the grounds of the 1939–40 World’s Fair, which took place on the same site. His 1964 plan set pavilions, sculptures, and fountains on axes radiating from the Unisphere in a geometric, Beaux-Arts-inspired layout. Towering over a circular reflecting pool punctuated with fountains, the Unisphere celebrates the dawn of the space age. The structural steel cage is 140 feet high and 120 feet wide, and its more than 500 components weigh over 700,000 pounds. Winding steel members represent lines of latitude and longitude, curved shapes represent the continents, and suspended rings mark the first man-made satellite orbits. The world’s capital cities are marked by lenses, which were backlit during the World’s Fair. The fair was a financial failure, ending more than $11 million in debt, and its remaining assets were spent on demolishing the exhibitions and restoring Corona Park. The Unisphere remained, but there was little money to maintain it. By the 1970s, the fountains had been shut down, the pool drained, and the site covered in graffiti. 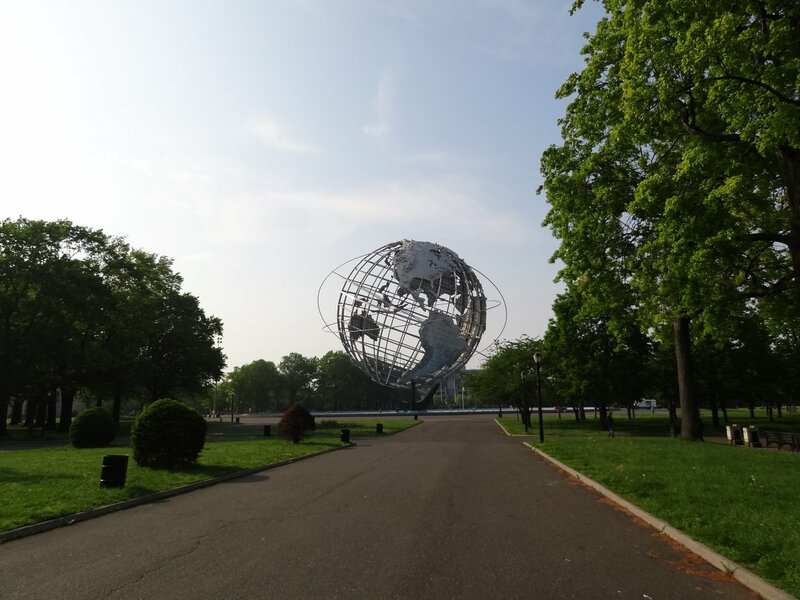 Beginning in 1989, the Department of Parks and Recreation cleaned and restored Corona Park; the Unisphere was restored in 1993–94 with funds from the Queens Borough President’s Office. It is nice that you published something about this steel “structure” : it is not famous and this does not come to mind when we think about well-known sculptures in New York. Depeche Mode seemed to have used the visual logo of the 1964-1965 World’s Fair. Indeed you can see the Unisphere on the cover of their album “Sounds of the universe” which sounds very closed to the fair’s theme : ““Peace through understanding in a shrinking globe and in an expanding universe.” One of the songs of the album is titled “Peace” (track 07). So now I know where my favourite music band’s inspiration came from !